By using geography to their advantage, ASW forces can seize the offensive—for a change. Methinks there’s a coda to my last column, which commented on a recent Naval Institute Proceedings essay on “full-spectrum anti-submarine warfare.” Namely this: the author, retired submarine skipper Captain William Toti, adds a wrinkle to Admiral J.C. Wylie’s concept of “sequential” and “cumulative” operations. By harnessing nautical geography imaginatively, that is, commanders can compel enemy subs to choose between risking detection and destruction as they transit predictable waterways and abandon their hunting grounds on the open sea. Either way, anti-submarine warfare (ASW) forces come out ahead. Sequential operations are linear in nature. They generally proceed from point A to point B on the map, with each tactical action following the last in time as well as space. The Allies’ post-Normandy drive across Europe, for example, was largely sequential. The vectors tracing ground-force advances converged mainly on Berlin, the seat of Nazi power. It took hard fighting to execute the land campaign, granted. But the idea behind it was straightforward and easily intelligible. Such campaigns can yield decisive results. Less so with cumulative campaigns, in which individual actions unrelated to one another in time and space wear down an opponent. Such campaigns are non-linear. Plotting them on the map looks as though your two-year-old dipped her fingertips in paint and splattered it everywhere. (Not that this has ever happened in the Naval Diplomat household.) Aggregate effect — not battlefield defeat or the seizure of some important site — brings about results. According to Sir Julian Corbett, however, such an approach is seldom decisive. It can succeed only through gradual exhaustion that annoys allies and one’s own citizens as much as it harries the enemy. Undersea warfare is intensely cumulative in character — especially once boats are on the loose in the open sea. The Battle of the Atlantic, wherein German U-boats sought to thwart movement from North America to Europe, fit this pattern, as did the U.S. submarine campaign against Imperial Japan. Subs are simply too elusive to hunt down in that colossal volume of water far from shore. By seeking enemy subs at places where they must pass — their homeports, straits, other narrow seas — full-spectrum ASW takes some of the scattershot character out of an adversary’s campaign. It forces the adversary to operate in more linear, more predictable fashion, creating more — and better — chances to locate and target hostile boats. Encounters become less random, the paint-splatter effect less pronounced. Last but not least, such an approach lets ASW forces seize the offensive — for a change. Open-water ASW bears striking resemblance to counterinsurgency. Think about it. In both cases, armed units guard the “populace,” or at sea the convoy of merchantmen, from hostile “insurgents,” or subs that mean to prey on them. That’s a tactically defensive stance. But successful COIN efforts also demand heavy striking forces to confront and defeat major insurgent formations. The same concept — that success depends on a mix of defensive and offensive forces — applies to undersea combat. Convoy escorts will never lose their value. There will always be a distinctly defensive element to ASW. But taking the initiative, the way Toti recommends, frees up surface, air, and subsurface ASW units to assume an offensive posture — carrying the fight to enemy subs. 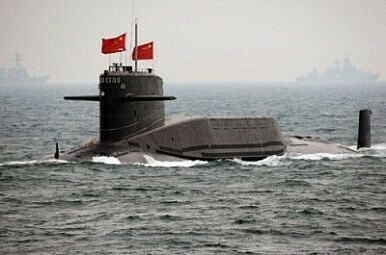 Or, as that great submariner of antiquity, Sun Tzu, puts it, shifting the offense/defense balance toward offense lets anti-submarine forces create situations to which enemy skippers must respond. That’s a welcome role reversal between surface and subsurface fleets, if it works. And it might. Similar ideas propelled Japanese maritime strategy vis-á-vis the Soviet Union during the Cold War, when JMSDF aircraft, surface ships, and diesel boats exploited maritime geography to bottle up Soviet subs landward of the first island chain. Or there was Washington’s SOSUS array, a line of acoustic sensors strung across the northern gateway to the North Atlantic to alert NATO ASW units when Soviet boats ventured southward. So there’s longstanding precedent for full-spectrum ASW. It’s doubtful anti-submarine forces will ever impose fully sequential patterns of operation on enemy submarines — in effect compelling them to mass for battle like dreadnought fleets of old. But Wylie would approve of any method that boosts the chances of decisive results in the depths. Forward!